The ‘Freiberg Colloquium’ is a series of lectures of the Saxon State Office for Environment, Agriculture and Geology, of the Saxon Mining Authority, of the Geokompetenzzentrum Freiberg. 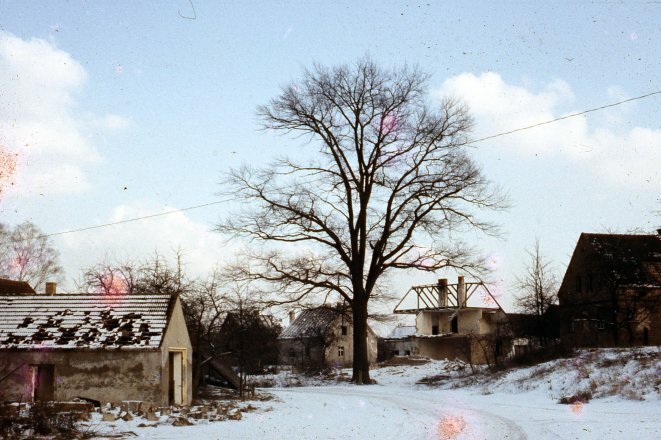 e.V., of the Saxon State Archives / Mining Archives, of the TU Berg-akademie Freiberg and of the terra mineralia. Giants of Prehistoric Times – Arthropleura, Meganeura and Co.
Giants of prehistoric times – this immediately brings to mind 35-metre-long dinosaurs who weighed up to 100 tonnes, and the flying dinosaurs with 10-metre wingspans of the Cretaceous periods. There were also giants that came after them – the predatory, cursorial birds of the Tertiary period that measured up to 2.5 metres tall, and our modern blue whale, which is 35 metres long and weighs 200 tonnes... before all these enormous vertebrates of the Mesozoic and Cenozoic periods, there were the arthropods, which reached gigantic proportions in the Palaeozoic period. 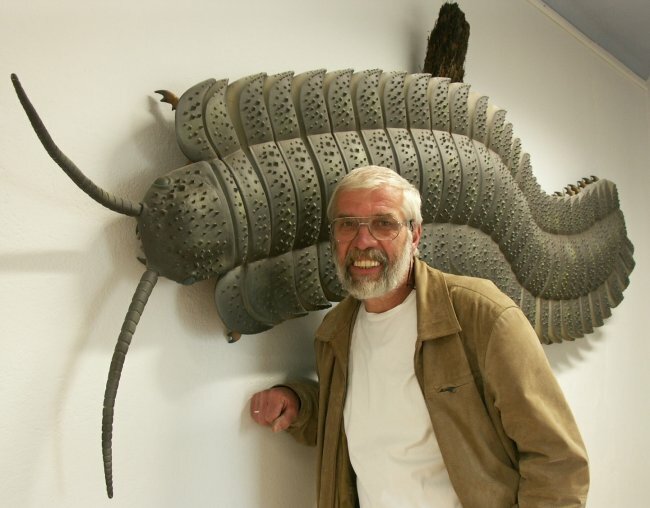 Sea scorpions measuring over 2.5 metres long in the oceans of the Devonian period, Arthropleura in the Carboniferous and Permian eras, who at 2.5 metres long were the largest arthropods that ever lived, and the giant insect Meganeura, with an 80 cm wingspan. We reconstruct their habitat, their prey, and their enemies, and try to answer the question of why such unusually large creatures continually appeared in the history of the Earth. To do this, we look for traces of these prehistoric giants in Germany, Scotland, Morocco, and New Mexico. Lecture related to the current special exhibition: "Foraminifera: Small Master Builders in the Ocean". Biomineralisation is a process in which mineral products (biominerals) are produced as a result of the vital activity of organisms. The ability to biomineralise is almost as old as life on earth and is therefore also subject to a long evolution process. The foraminifers are among the biomineral-producing organisms. The forams have developed a wide selection of biomineral building materials and possible shapes for the formation of their shells, which consist mostly of calcium carbonate (CaCO3 = calcite or aragonite and trace elements) or of foreign particles in an organic tectonic matrix. Traditionally, a distinction is made between agglutinated forams, e.g. sand-shelled forams, porcelain-like calcium shells (without pores) and hyaline forams (with pores). 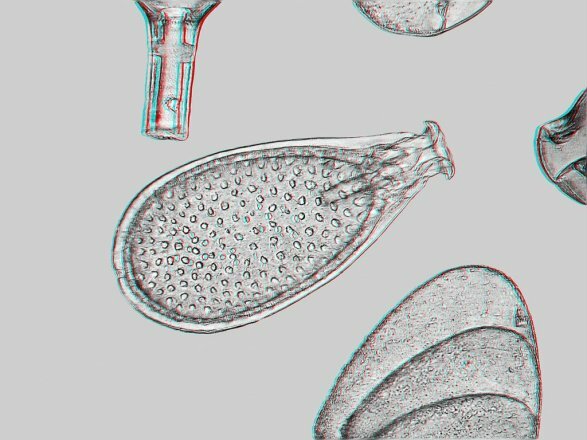 In the lecture, the forams will be depicted as artists of biomineralisation which have a global impact. "Crude oil – A blessing and a curse"
It stinks and lubricates and it is the nerve centre of our modern civilisation. Every single day, the modern industrial community uses 14 billion litres of oil. Crude oil is the raw material of the 20th Century and the most important source of energy in the modern world. Crude oil has changed living conditions and expanded the horizons of experience more than almost any other raw material. It has created economic empires and influenced both World Wars. It made men like Rockefeller and the Rothschilds into multi-millionaires, whilst at the same time having a decisive influence on the separation of the world population into poor and rich. Crude oil is the material that has fired the development of industrial corporations upon which we are dependent and without which our everyday life would cease to function. But how is crude oil formed? How is it extracted and processed? What does it cost at its source, how much does the consumer pay for it and who earns money on the raw material we call crude oil? What can be done in view of the enormous environmental problems caused by crude oil? And how do we deal with this valuable raw material? How large are our reserves? 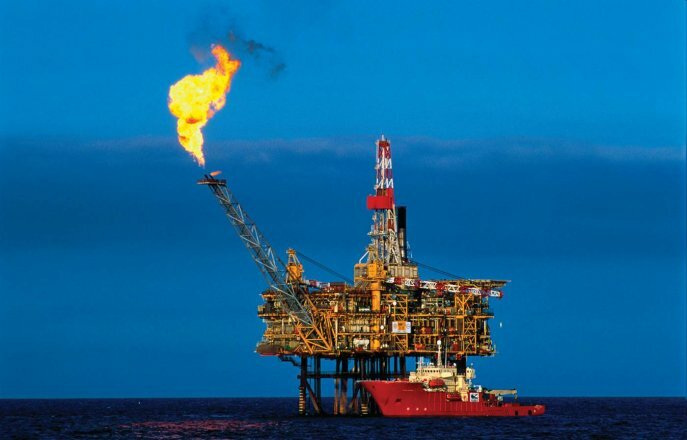 What can we do in view of dwindling oil reserves? "Three Years of the Helmholtz Institute for Resource Technology Freiberg – Status and Outlook"
On 29 August 2011, the Helmholtz Institute for Resource Technology Freiberg (HIF) was jointly founded by the TU Bergakademie Freiberg and the Helmholtz Zentrum Dresden-Rossendorf (HZDR). This filled a substantial gap in Germany’s non-university research landscape. In close cooperation with colleagues at the TU Bergakademie Freiberg and the HZDR, the main task of the HIF is developing innovative technology through research spanning a series of materials, which will enable an energy-efficient and resource-efficient use of complex mineral and metallic resources. Now, three years after it was established, the HIF has grown to a size of almost 100 employees. The first laboratory infrastructure is operational, research projects are yielding highly significant results and restoration work on the institute’s final location has been initiated. Therefore, it is appropriate to deliver a status report on the HIF, while attempting a cautiously optimistic outlook at the potential developments of the coming years. 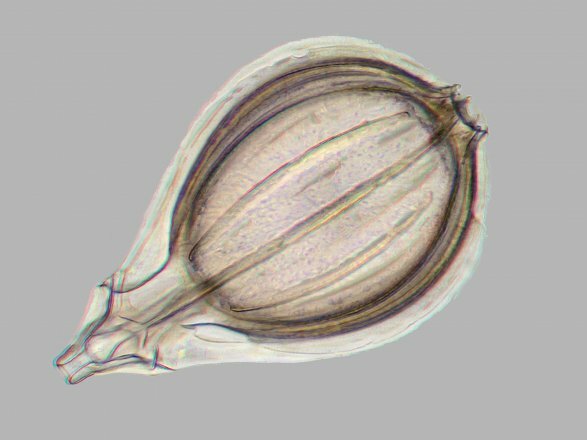 "The important role of the little ones: Single-celled architects of the oceans"
The real rulers of our planet are tiny single-celled creatures or monads! Among them, the foraminifera are a particularly interesting group, to which a current special exhibition at Terra Mineralia is dedicated. Foraminifera, or simply forams, are small creatures, most of which possess a shell of calcium and which occur in all the oceans of the earth. Their shells are tiny, unbelievably beautiful works of art. However, the importance of these organisms goes way beyond aesthetics! They play a vital role in influencing the world climate, they are indispensable for us when it comes to finding and extracting crude oil, we need them when we build tunnels, when we notice ecological changes in our environment today and when we want to understand the geological changes that occurred in the past. In this lecture, these astounding, and yet to many people unknown creatures, will be introduced and their enormous importance in the daily lives of each and every one of us will be discussed. "Mining and mining education in Afghanistan"
What began as a retaliatory strike in Afghanistan in 2002 will continue in 2014, at first with the withdrawal of combat troops. How often do we ask during military invasions, “What has this done for the country?” Economically, hardly anything. In the light of enormously high illiteracy and unemployment quotas, strengthened through an imminent population explosion, the country desperately needs education and employment in order to remove the breeding ground for radicalisation as an adequate alternative. One of the potentials is, in addition to the tolerated opium production, the use of other natural resources from the land, such as the raw minerals whose further mining has come to a standstill. 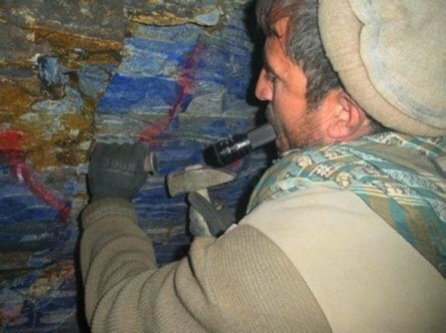 Afghanistan is rich in natural mineral resources, and the country's geology has been continually explored; since the 70s in the 20th century, there has been a mining faculty in Kabul that was built with Soviet support (as was mining production). 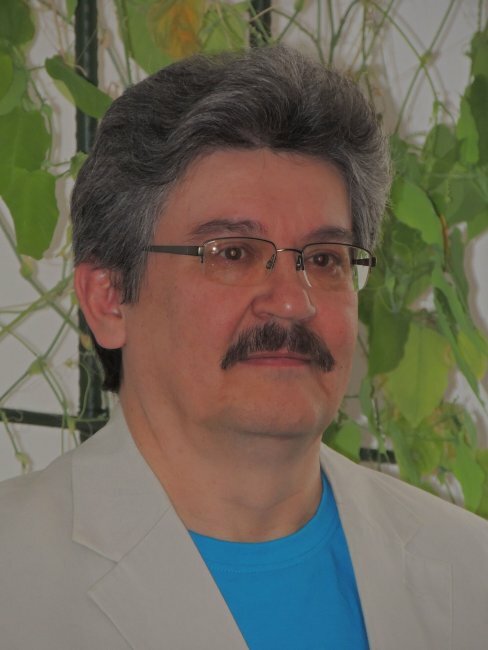 The lecture gives a view into one of the projects of economic cooperation (development aid) in the natural resource sector, in which the TU Bergakademie (Mining Academy) Freiberg is a responsible partner as a specialist institution. Thursday, 26th June 2014, 8:00 pm (after the football match Germany - USA; access through the small castle courtyard; right to the main entrance). "How does the ‘resource factory’ work? Freiberg Geoscientists on the Tibetan Plateau"
The resource factories of our earth are the collision zones in which the lithospheric plates hit against one another, causing the mountains of the earth to form or disappear. The Himalayan-Pamir Tibetan Plateau in Asia is the active resource factory of the earth. Here, leading international researchers in geological sciences are trying to understand the interactions of the earth’s mantle, lithospheres, atmospheres and biospheres. You will find out how, for example, large mountain ranges change the climate of the world, how special climates cause mountain ranges to form, how highland plateaus can melt away, how rivers indicate the formation of mountain ranges and how high mountain ranges cause earthquakes. 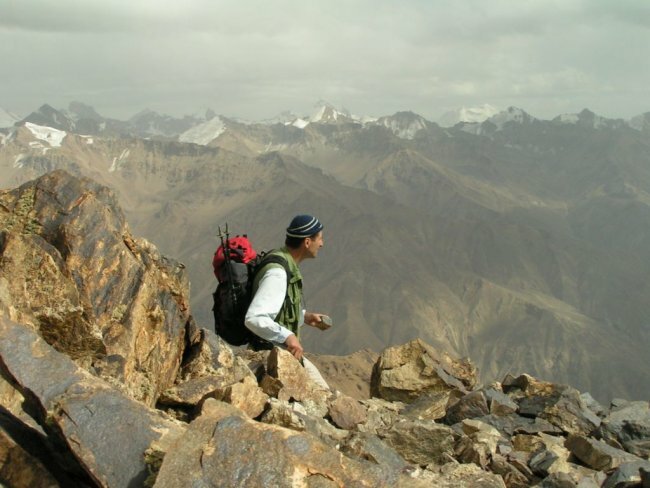 Of course, we will also take a look at mountain ranges with you: From Hindu Kush in Afghanistan over the summit of the Pamir Mountains on the Tibetan Plateau and on to the Golden Pagoda in Burma. Prof. Dr. Lothar Ratschbacher (TU Bergakademie Freiberg) at work in the resource factory: South Pamir, >5,000 m.
"Energy storage in geological formations"
The reliability of the energy supply in the Federal Republic of Germany certainly represents a public interest of the highest order as more than 95% of the crude oil and about 90% of the natural gas consumed within the borders of the country have to be imported. In order to ensure that under these circumstances a reliable supply of natural gas is available in the Federal Republic of Germany, natural gas is stored in underground gas reservoirs for over three months, for example. The Federal Government has declared that it aims towards meeting the country’s electricity requirements with 35% renewable energy sources by 2020 and 50% by 2030. Besides the current problems regarding the availability of surfaces for photovoltaic facilities and the grid connection of offshore wind parks, one of the sore points is the discrepancy between electricity requirements and the generation of renewable energy in terms of time. Without the storage of irregularly generable renewable electricity from wind and sun in both the short and long term, the success of the energy transition seems impossible. Therefore, the construction of suitable storage areas proves to be indispensible in order to be able to regulate the supply. The main task of an electricity storage facility is to balance out and bridge the daily and seasonal fluctuation and the supply shortfalls that occur due to technical problems or political issues. It must be possible to operate the storage facility in economical terms. The lecture will present the new challenges that deep drilling, brine technology and storage technology face. All of these technologies are likely to experience an extreme upturn, thanks to the energy transition. Examples are the storage of electricity in salt caverns and disused mine shafts and caverns that are still open. The new techniques will be discussed and assessed within the framework of the lecture. The concept of the infinity of time and space became a fascinating central theme of philosophy, literature and art in the early 19th century, in which the theories concerning the origins of the earth and the development of nature played an important role. Rock formations, the discovery of fossils, and artefacts from long-dead cultures, caught the attention of artists. In all cases, these processes involve extremely long periods of development that, due to our limited experience, are beyond our comprehension of temporal sequences. The lecture is dedicated to the motif of the megalithic tombs and altar stones on the Island of Rügen, which were discovered en masse by artists from Dresden in the early 19th century and were elevated to the status of symbolically charged subject matter for works of art. Besides Carl Gustav Carus, Philipp Otto Runge and Johan Christian Clausen Dahl, Caspar David Friedrich in particular concerned himself with these “stony” witnesses of history. 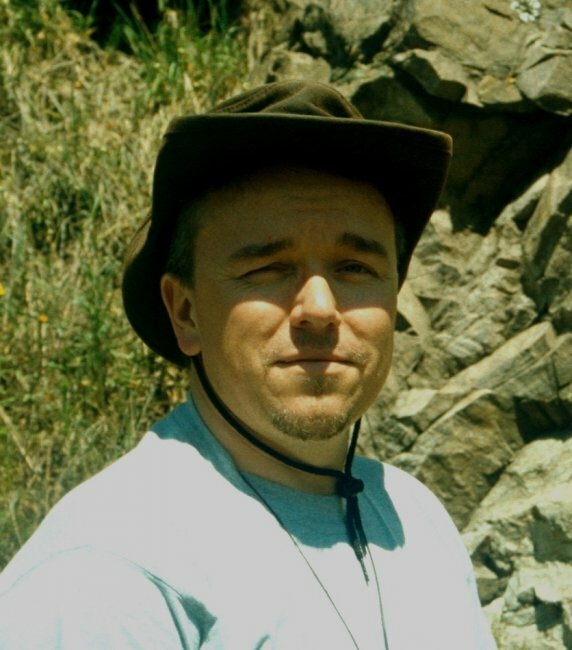 His interest in early cultures and geological research play a central role in the lecture. 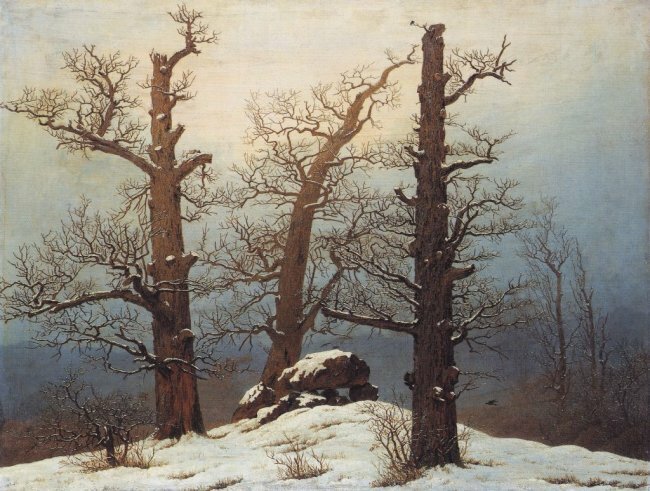 Caspar David Friedrich, "Burial mounds in the snow", (1807, Dresden, Gemäldegalerie Neue Meister). 3D-show presented by the "Stereogram Association of Saxony", ahead of the "World’s smallest geologists" special exhibition to be mounted in the terra mineralia in autumn 2014. Dating from the Cambrian age (about 510 million years ago), prehistoric species of foraminifera, some of them older than mankind, still inhabit our oceans. Others are to be found as fossils in rock such as limestone. Because they are so tiny and scarcely visible to the naked eye, the tremendous range of different forms of foraminifera usually only becomes apparent under a microscope: small bodies curled up, snail-shaped, spherical, radial or star-shaped. Their frail structure is of such captivating beauty that it is like a natural work of art. Their appearance could very well serve as a source of inspiration for ‘utopian’ architecture or spaceships. Here we once again have proof that nature is ‘perfect’, right down to the smallest of forms. And with foraminifera as well, form follows function. 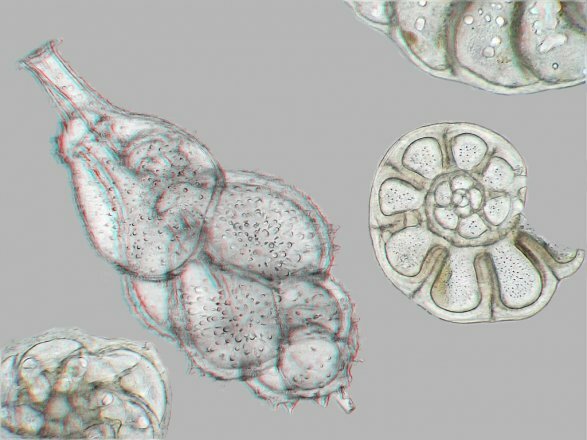 For interestingly enough, all that foraminifera have done with the structure of their bodies is to adjust to their environment and the ingestion of food. 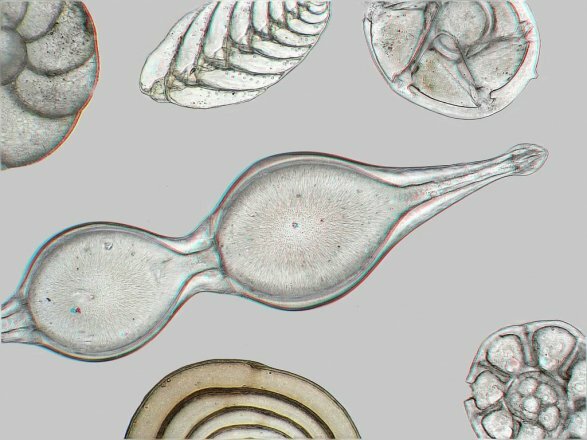 These little micro-organisms are specially adapted to life on the surface of water, in the sand of the ocean bed or suited to water currents. But in addition to their significant influence on oceans and climate, they are also of great importance to oil prospecting. 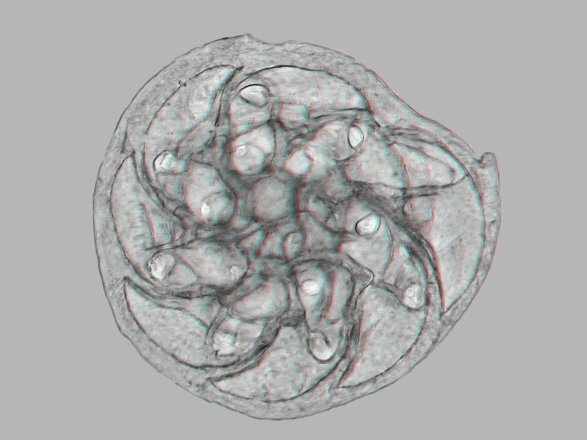 To help visitors grasp the astonishing beauty of all the various forms which foraminifera can take, 3D microscope images of these minute life-forms will be on display on 10th May 2014. 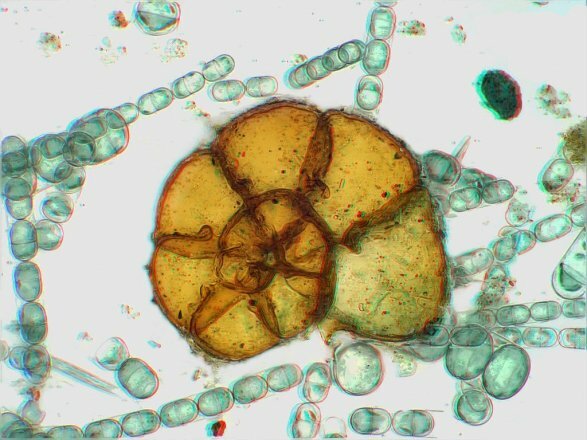 But what is the connection between foraminifera and the terra mineralia? And why is the terra mineralia planning a special exhibition about them? Foraminifera are the basis for rock formation and mineralisation, and so they are known as ‘The world’s smallest geologists’: and that is also the title of this special exhibition on foraminifera, scheduled to run from 19th September until 30th November 2014. The organization behind the exhibition is the Foraminifera.eu Project. The exhibition has scientific assistance from Prof. Dr Olaf Elicki, professor of micro-palaeontology at the TU Bergakademie Freiberg. The special exhibition has been made possible with the support of the Federal Association of Museum Education Officers through its “Museobilbox” – ‘culture makes you strong!’ support programme. 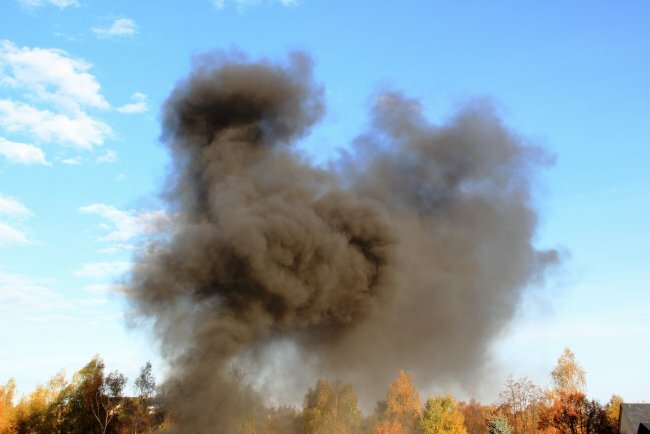 "Black smoke over Freiberg – 10 years of fire testing in the interest of public safety"
Many vigilant observers have noticed that there are often great clouds of black smoke in the vicinity of the ‘Reiche Zeche’ mine. Concerned citizens sometimes even reach for the telephone to report a suspected fire. What nobody can suspect is to be disclosed as far as possible within the scope of the presentation. In Fuchsmühlenweg in Freiberg, issues regarding fire and explosion protection have been researched and tested for almost 90 years now. Originally, these tests were mostly dedicated to the dangers related to mining. Bit by bit, new specialist areas were added, such as fire protection in buildings, for example. Today, MPA Dresden GmbH is a renowned, internationally active competence centre for active and passive fire protection, where a large number of experts carry out tests on a daily basis in order to provide evidence regarding the properties of various products. The variety of applications is manifold, ranging from products that are used in building construction through products for ships and trains to cables, safes, safety cabinets, furniture and last but not least, fire extinguishers. These tests, which are carried out under realistic conditions, serve to improve public safety and the protection of people and property in the case of fire. Because it is not possible to grant permission for all interested parties to view the “secret” test laboratories, alongside a historical overview of the development of fire tests in Freiberg, individuals will be given the opportunity to have an indirect look behind the scenes of a testing facility. Smoke over Freiberg from a fire test. "The exploratory project – from the exploration data of the Democratic Republic of Germany (East Germany) with regard to the reserve assessment"
In the year 2011, in Saxony drilling teams moved into Gottesberg and Geyer. Based on the tin content that lies beneath these small villages, there are as yet undeveloped tin resources of global importance. 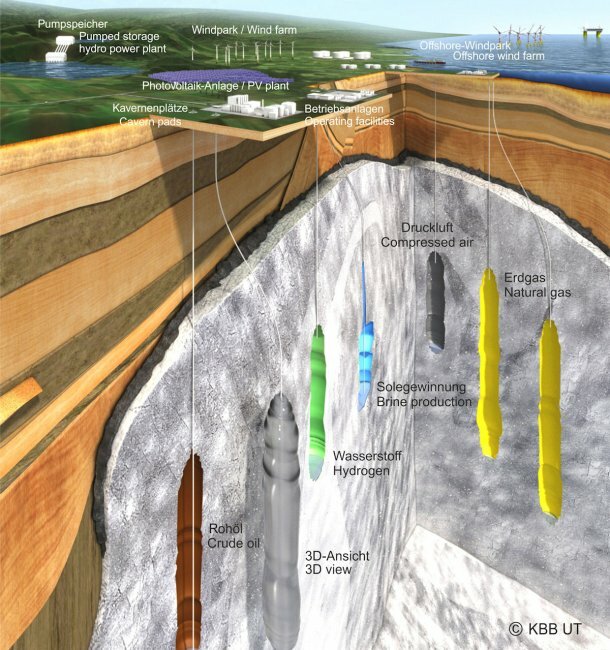 The tin deposits of the Erzgebirge and Vogtland, however, have only been known for a short time and are now in demand. The area around Gottesberg is well-known for its eventful history of exploration and mining. 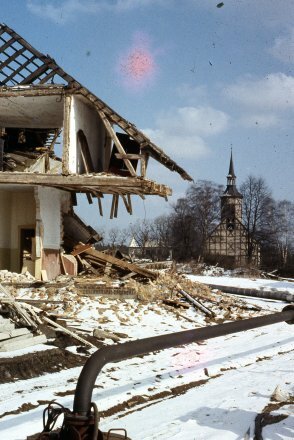 Despite the high level of explorations already carried out to some degree and the comprehensive estimates made during the GDR era, these deposits must be re-examined. The goal is the identification of the deposit contents according to internationally accepted valuation guidelines, the JORC Code, which is named after the Australian Joint Ore Reserves Committee (JORC). This lecture offers an insight into exploration activities leading to the identification of a JORC-compliant resource. 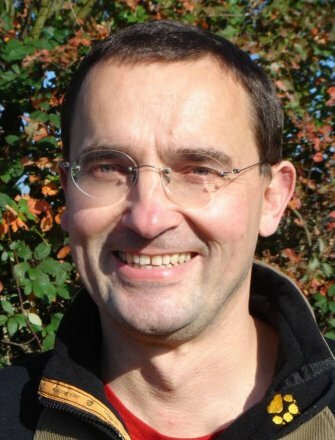 The speaker, Jörg Reichert, holds a PhD in mining geology. 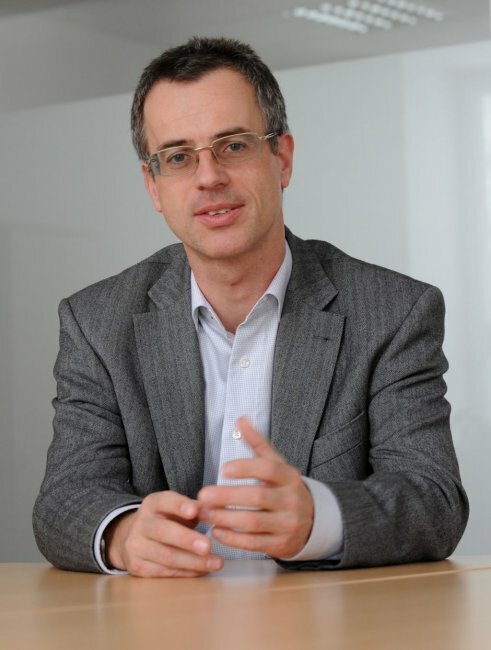 He has international experience has been working as Chief Geologist for Deutsche Rohstoff AG since 2007. He is Managing Director of Sachsenzinn GmbH and Chairman of the Seltenerden Storkwitz AG. 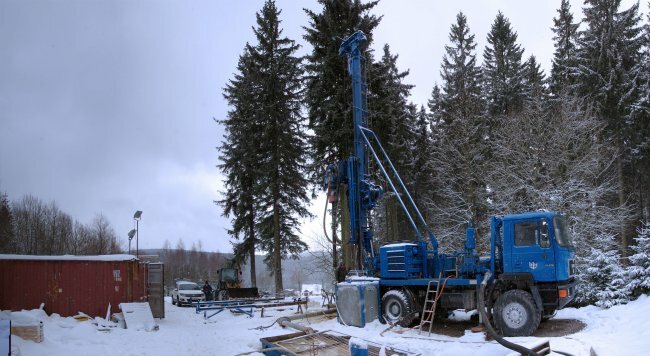 Exploratory drilling in the approved area of the Gottesberg (Dr Jörg Reichert, Deutsche Rohstoff AG). In 1924, a village in the brown coal mining region of Lusatia, complete with all its villagers, had to make way for an opencast mine for the first time. This process of devastating villages and resettling people has since been repeated 136 times. Back then there was a lot of friction, which persists to this day, between the demands of the energy industry, regional interests and personal consternation. Many of the people who had to be resettled later worked in the brown coal mines themselves. The lecture “What remains?” refers to the topic of the same title covered in a travelling exhibition that can currently be viewed in the foyer of the Saxon Mining Office in Freiberg. The lecture and the accompanying exhibition investigate the question of what the loss of their homes means to the people of the area and how they deal with it. The lecturer and curator of the exhibition, Robert Lorenz, draws a historical line from the 1930s to the present with carefully selected examples from literature, art and political discourse. Humboldt’s successful exploratory expeditions into the new world, which he undertook in the company of the botanist Aimé Bonpland between 1799 and 1804, inspired him to set his eye on Siberia and India as travel destinations in order to be able to compare the Andes with the Himalayas and the Venezuelan Llanos with the Siberian steppes. He wanted to include the insights of other continents and cultures gained on his travels in Kosmos – the oeuvre he planned to write as a synopsis of scientific exploration of the world. The full name of the work was “Kosmos – Entwurf einer physischen Weltbeschreibung”, which can be translated as “Cosmos – Design for a Physical Description of the World”. Upon his return from Paris, where he spent most of his time working on the 30 volumes of his oeuvre whilst also keeping in touch with many of his scientific contacts, he received an offer from the Russian Minister of Finance, Count Georg von Cancrin in 1827, to undertake an expedition to the Russian Empire in order to assist him in drawing up a list of pros and cons involved in introducing platinum coins to the currency. However, the purpose of the expedition was not simply to solve the currency problem but it was to rather take on a highly scientific character. Humboldt was therefore able to engage the physician, zoologist and botanist Christian Gottfried Ehrenberg and the chemist and mineralogist Gustav Rose to join him on his travels to Russia. This adventure-filled journey began in April 1829 in Berlin from where it led to Konigsberg (Kaliningrad) – St. Petersburg – Moscow – Yekaterinburg – Tobolsk – Miass – Orenburg – Astrakhan – Tula – Moscow and St. Petersburg back to Berlin. The results were not only 19.000km travelled by coach, on foot, on water and on horseback – von Humboldt also brought back an enormous amount of excellent research results relating to mining and metallurgy as well as to geography, botany, zoology, palaeontology, meteorology, climatology, geomagnetism etc., all of which Humboldt included in equal measure in his book on the history of Russia. Within the framework of an international research project, Prof. Naumann had the opportunity to personally retrace Alexander von Humboldt’s footsteps in Russia, and will share the impressions that he gained from this interesting journey in his lecture on 30 January. 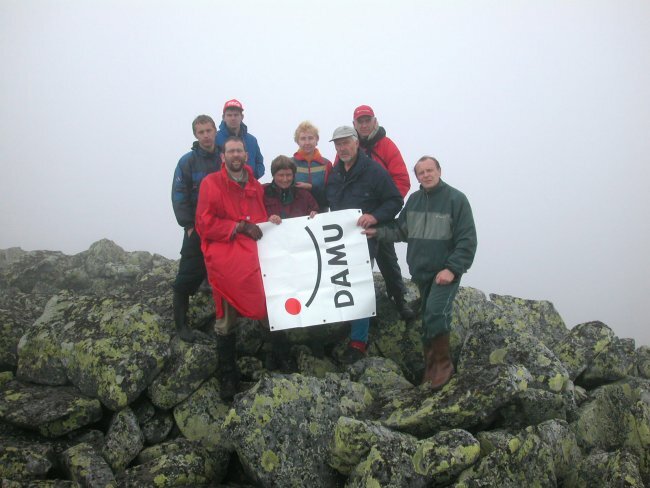 The members of the German Association of Alumni and Friends of the Lomonossov-University in Moscow have climbed the Mount Humboldt in the North Ural for the very first time.